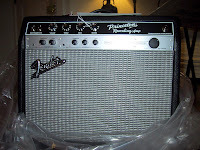 You won't believe this, but I have returned a Twin Reverb, which lasted only minutes, right out of the box, and a Blues Deluxe almost as fast, now I'm having to return my Blues Deville. Its making snapping and popping noises. 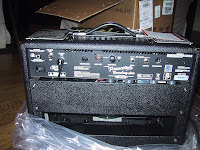 I had to change out the preamp tubes twice now in five months. All of these were bought at Guitar Center because I needed the 12 months same as cash. 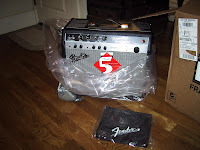 I don't know if they're selling reconditioned products for new or what, but no one I talk to who has Fender amps has had any problems with them. I'm disgusted, but the sound I want comes from a Fender. I don't know what to do.